– He is an alumnus from G B Pant Hospital, where he completed his MCh in Surgical Gastroenterology in 2000. He further underwent advanced training in Hepato-Biliary Surgery and Liver Transplantation at Centres of Excellence in the eld like Asan Medical Centre (Korea) and Florence Nightingale Hospital (Turkey). He then worked in GB Pant Hospital, Sir Ganga Ram Hospital and Institute of Liver and Biliary Sciences as a faculty. 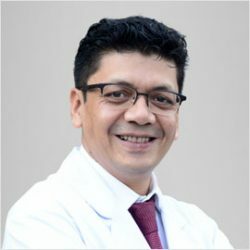 He has over a decade of experience in managing Gastrointestinal and Hepato-Pancreato Biliary diseases.